The Mo Cookies Mod, is a great simple mod created by the developer: ” Luna”. The mod adds eight new cookies to the game, all with new special abilities. The mod also adds in a special golden bucket, which aids in teleportation around the map. The mod can be installed for SMP and client, and works with Minecraft Forge. 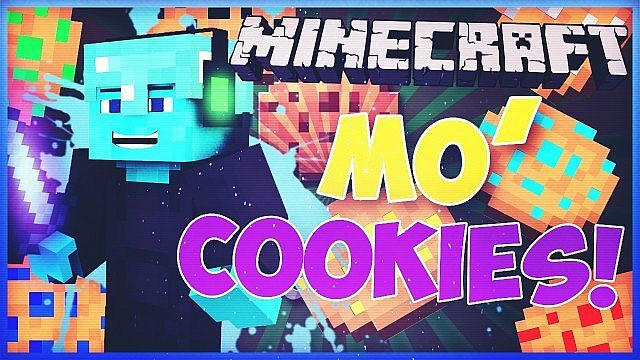 There is no real way to use the Mo Cookies Mod you first of all need to download it with Minecraft Forge and then you can load up your latest save game. When loading all of the mods features should be automatically enabled. Then, you can either spawn all of the added items in, or try crafting them from scratch. Coal Cookie – Very sickening! Sweet Cookie – Hyper active mode! Iron Cookie – Reduced damage for a period of time. Redstone Cookie – Increases the amount of hearts you have! Gold Cookie – Faster and more effective mining! Lapis Cookie – Gives your jump a boost! Diamond Cookie – Tastes very nice! Emerald Cookie – Over Powered! The mod also adds in one mysterious item, the golden bucket is used for teleportation. Next, download the Mo Cookies Mod and drag and drop the .zip files to your desktop. There are currently no public changelogs for the Mo Cookies Mod. The developer of this mod released all of the features at one time, so don’t expect any updates coming in the future!